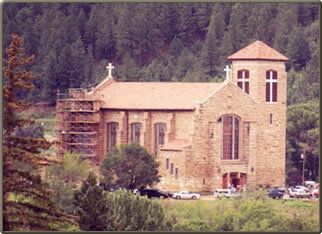 St. Joseph Apache Mission is owned by the Diocese of Las Cruces, one of the youngest and poorest Dioceses in the United States. The restoration of this church is simply beyond their means. As an operating church we are not eligible for Federal, State or Tribal funding. We have received grants from a number of private foundations that believe in the value of this project. However, approximately two-thirds of the money needed for this restoration project comes from ordinary individuals who believe in what we are doing, and want to be a part of saving this beautiful church and veterans memorial for future generations.